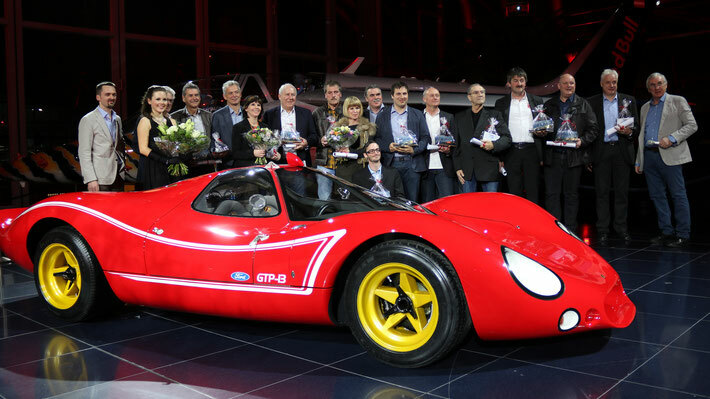 The premiere presentation of the GTP-13 was celebrated at Hangar-7, Salzburg airport on March, 11th, 2016. We would like to thank everybody who made this evening unforgettable. Distinguished guests. Photo with friendly permission from Wolfgang M. Buchta, Editor "Austro Classic"
NOTE: The GTP-13 was on exhibition at Hangar-7 on Friday, March 11th 2016 only. It is not on permanent display at Hangar-7.